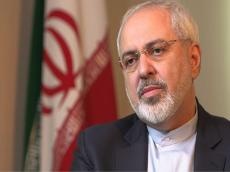 Iranian Foreign Minister Mohammad Javad Zarif sat down for talks with Iraqi Prime Minister Adil Abdul-Mahdi late on Sunday, Trend reports with the reference to IRNA. During the meeting, the two officials discussed bilateral relations as well as areas of cooperation and regional developments. Iraqi premier hailed cultural and historical commonalities between the two countries and stressed the need for boosting mutual ties. Zarif, for his part, expressed pleasure over his trip to Iraq and appreciated Iraqi government’s positive stance vis-à-vis regional developments and Islamic Republic of Iran. Zarif, heading a politico-economic delegation, is currently in Baghdad for talks with the neighboring state’s officials.